Item # 316810 Stash Points: 2,995 (?) This is the number of points you get in The Zumiez Stash for purchasing this item. Stash points are redeemable for exclusive rewards only available to Zumiez Stash members. To redeem your points check out the rewards catalog on thestash.zumiez.com. 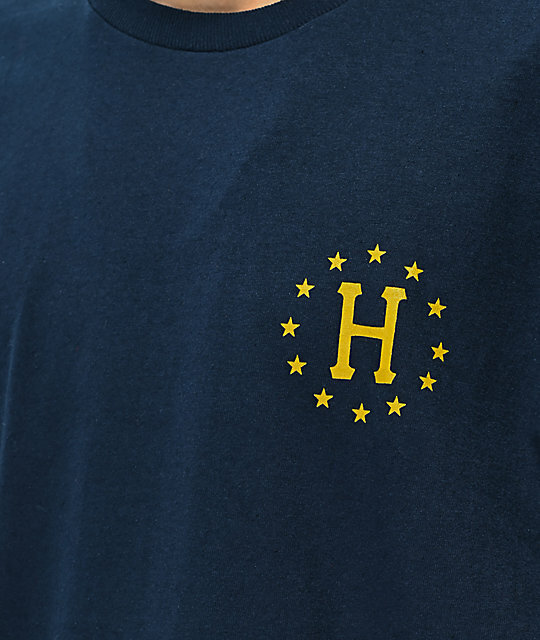 Put your differences aside and come together with your favorite brand in the 12 Nations navy t-shirt from HUF. 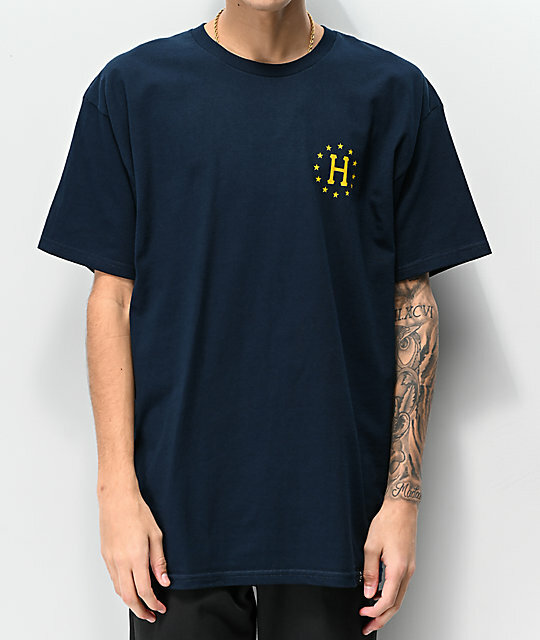 On the front left chest of this navy blue tee you will find a HUF "H" logo surrounded by 12 gold stars, while the back displays the same graphic only larger and surrounding the stars are twelve different national flags. The tagless construction and standard fit make this t-shirt comfortable and worthy of all your daily looks. 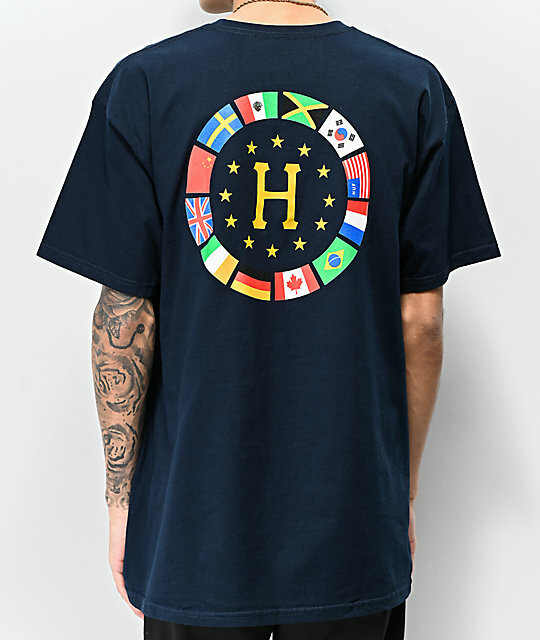 12 Nations Navy T-Shirt from HUF. Screen-printed graphics on the left chest and back.